Your humble correspondent checks out one of the apartments at Waverly Place on Tuesday. Waverly Place, the latest addition to Albany’s string of accommodations for the aged, was under construction for most of 2016 and ’17. It’s on one of my bike routes, and now that the place is finally finished, I stopped by on Tuesday to see the inside. The main thing I wanted to know is what it costs to stay in a place like this. Bill Pranckitas, the marketing director, gave me a tour and told me a one-bedroom apartment at Waverly Place costs $3,600 a month. That includes the rent and three meals a day, utilities and basic cable, as well as access to the numerous amenities and activities. If you need more in the way of special care, the price goes up, but I didn’t get the details. The apartments I saw were staged to give people an idea of what it’s like to live there. Residents will bring their own furniture. Waverly Place, at 2853 Salem Ave. 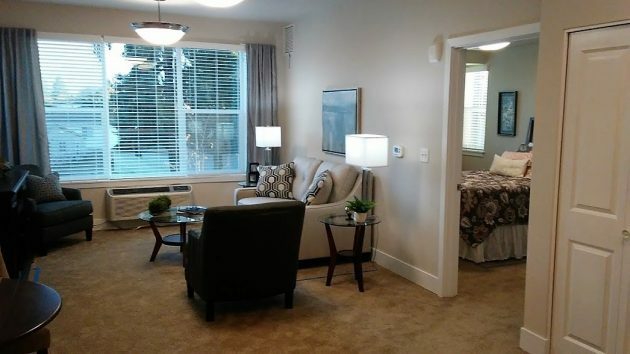 S.E., was built with 70 apartments for “assisted living” and 21 for people who need “memory care.” The management expects to have about 120 residents when it’s full. The place opened last week and has about 20 residents so far. 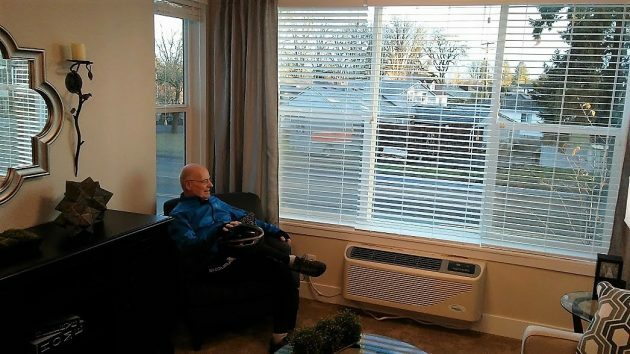 At recent public meetings, Albany Councilman Rich Kellum expressed concern that some old-age homes may have a “business model” of having no one on staff after hours and relying on the fire department to respond to falls. I asked Pranckitas about this. He told me Waverly Place is staffed round the clock. But depending on circumstances — such as somebody who is very heavy having fallen — they would still have to call 911. I was impressed by the place: Large windows, bright rooms, plenty of extras such as a movie theater and a beauty shop, and separate rooms for art as well as games. 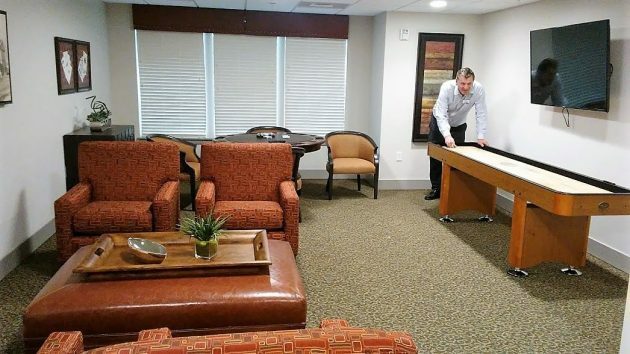 Bill Pranckitas tries out the tabletop shuffleboard (or something like that) in the game room. This is a one-bedroom apartment. 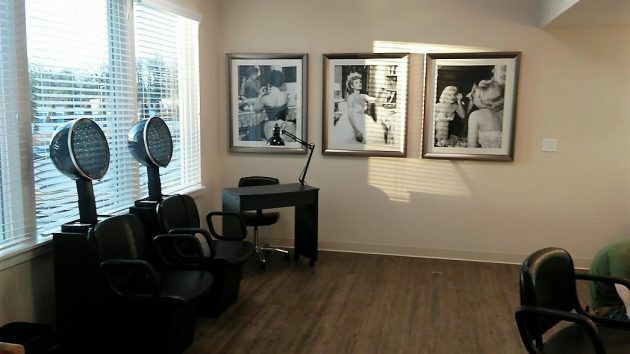 The beauty salon with appropriate wall art. Through the trees you can just barely see Waverly Lake, 50 yards away, from this unit. $3600 a month not including any special care???? Remind me to never get old, can’t afford it. Actually for that price I could just pay mortgage at my own place and pay for a full time maid. That’s more than twice what my husband and I get a month. does the 3600 include two folks sharing the one bedroom? Beats me. I’ll ask next chance I get. Life is expensive. This cost is not out of line for this type of living accommodation. That price include valet & chauffeur service?? We’ll hang on here till the bitter end for our $806 a month thank you. What peace, quiet & tranquility is there with a R/R thundering past 24/7!! 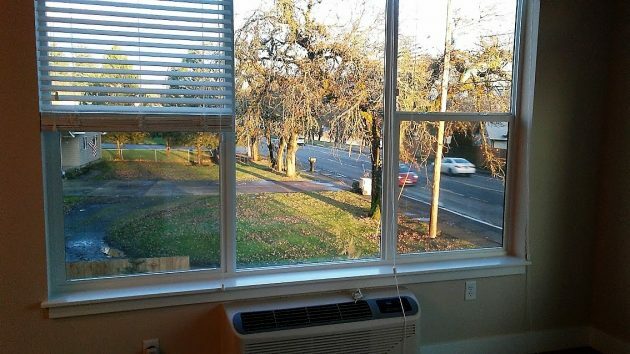 $3600…for one bedroom…WOW, that is ridiculous. Seriously ridiculous. Yes you are paying for the ‘convenience’ for “access to the numerous amenities and activities”, but still. It costs us approximately $1400 a month for Rent (2bdrm w/garage), Electric, Water/Sewer, Garbage, Cell Phones, Cable/Internet (200 channels/high-speed). Auto/Renter’s Ins (full/higher coverage) and food.